The Next NGS Challenge Conference is a joint event of the EU COST Action SeqAhead, the EMBnet, the International Society of Computational Biology ISCB and the 7FP Project STATegra that aims to become a dedicated meeting on cutting-edge Next Generation Sequencing applications, presenting the most innovative bioinformatics approaches in NGS data analysis. The Conference will consist of keynote lectures, contributed oral presentations and lively afternoon Poster sessions. 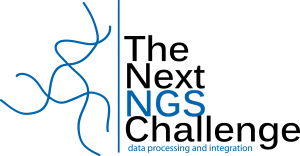 The organizers are now accepting submissions on novel NGS applications, algorithms for NGS date processing and integration, and effective solutions for the management of massive sequence data. Deadline for registration is the 15th of April. Abstract submission deadline is the 15th of February. Ivo Gut, Director of the National Center of Analysis Genomic, Spain. Janet Kelso, Professor at Max Planck Institute for Evolutionary Anthropology, Germany. Leif Andersson, Professor in Functional Genomics at Uppsala University, Sweden. Afternoon session: ” NGS and structural Biology” by Goran Neshich (EMBRAPA, Brazil), Jose R. Valverde (CNB-CSIC, Spain) and Gert Vriend (CMBI, The Netherlands). You can find further information at the Conference site: http://www.thenextngschallenge.org/. This entry was posted in News and tagged Conference, EMBnet, Ivo Gut, Janet Kelso, Leif Andersson, Tutorial. Bookmark the permalink.